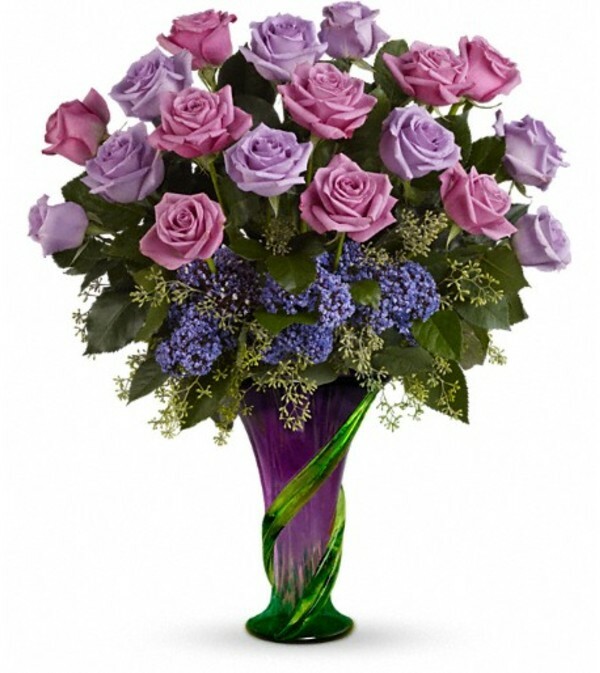 Dazzle Mom with a gorgeous array of lavender roses in a magnificent hand-blown purple art-glass vase accented with a climbing vine motif. 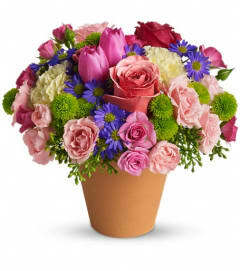 She’ll be thanking you for weeks – and loving her vase forever. 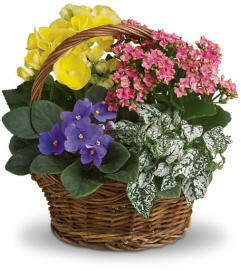 The elegant bouquet includes lavender and light lavender roses and lavender statice accented with assorted greenery. 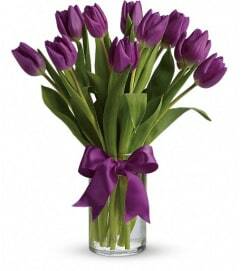 Delivered in a contemporary hand-blown purple art-glass vase with a green climbing vine motif.